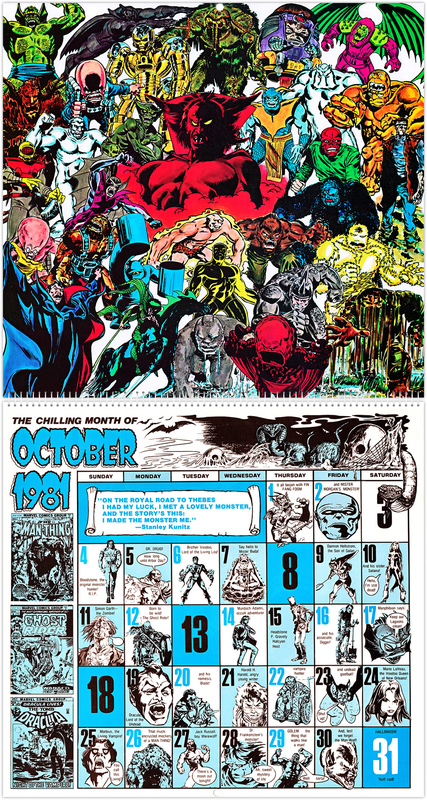 Marvel Comics’ 20th Anniversary Calendar 1981 | 'TAIN'T THE MEAT… IT'S THE HUMANITY! Time for another dip into the TTM vaults. 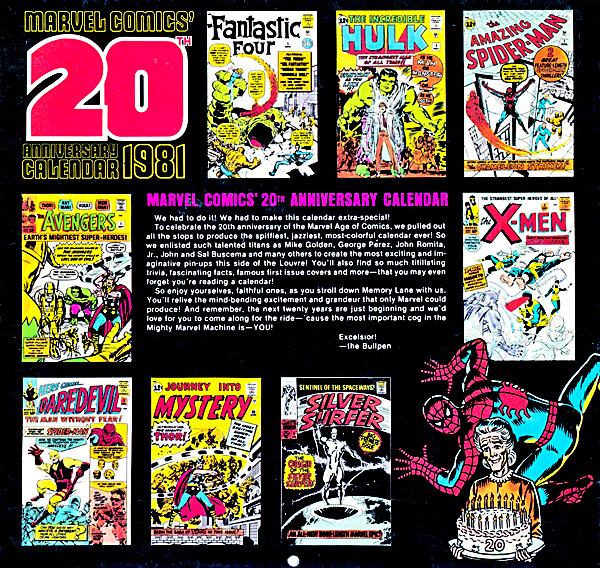 This week it’s a look at Marvel Comics 20th Anniversary Calendar from 1981. 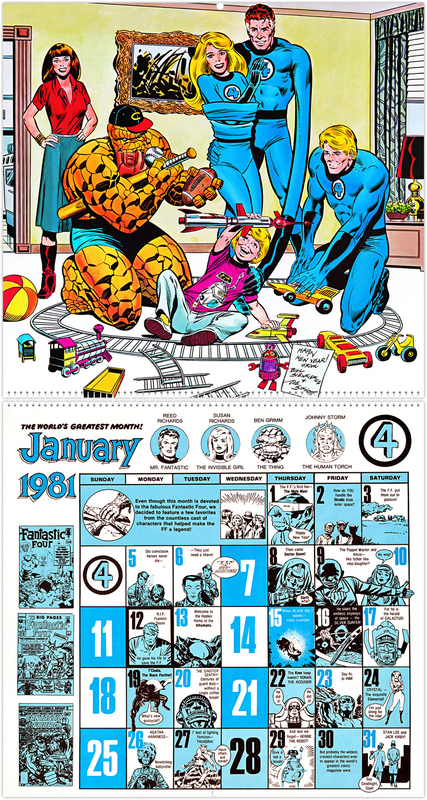 Published to celebrate Marvel’s 20th anniversary this calendar featured 12 illustrations by some of the company’s biggest stars. 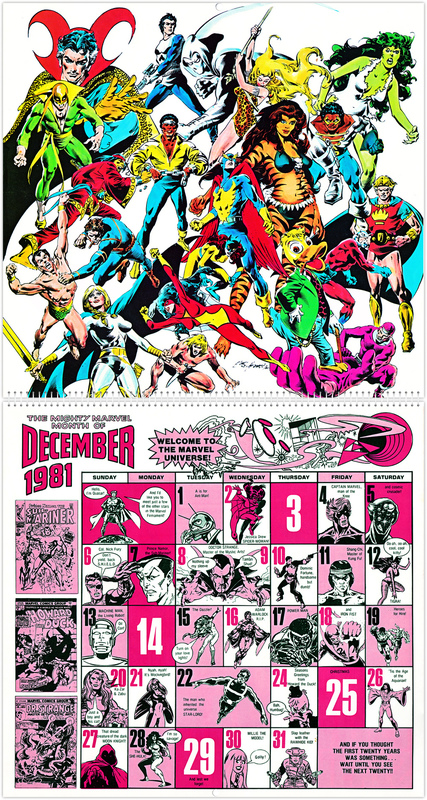 Artists who contributed to the calendar include John Romita Jr, John and Sal Buscema, George Perez, Frank Miller, Bill Sienkiewicz, Michael Golden, Bob Layton and John Byrne, who also pencilled the cover. 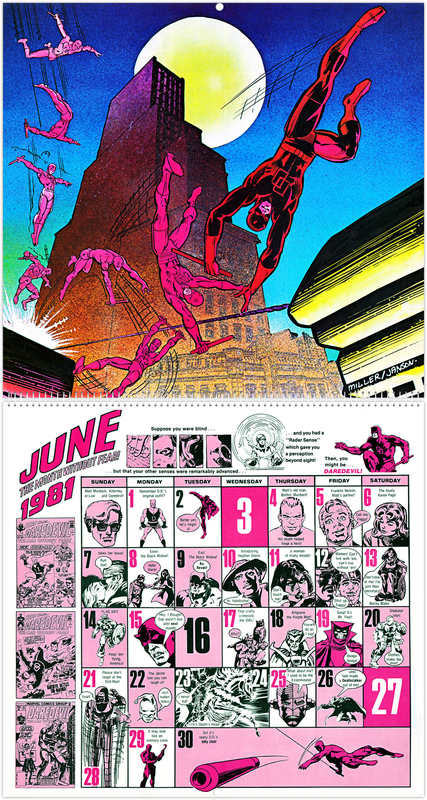 The basic format was the same as Marvel’s previous calendars (click here for a look at their Bicentennial calendar from 1976): a large illustration of an individual superhero or team accompanied by a month of dates. 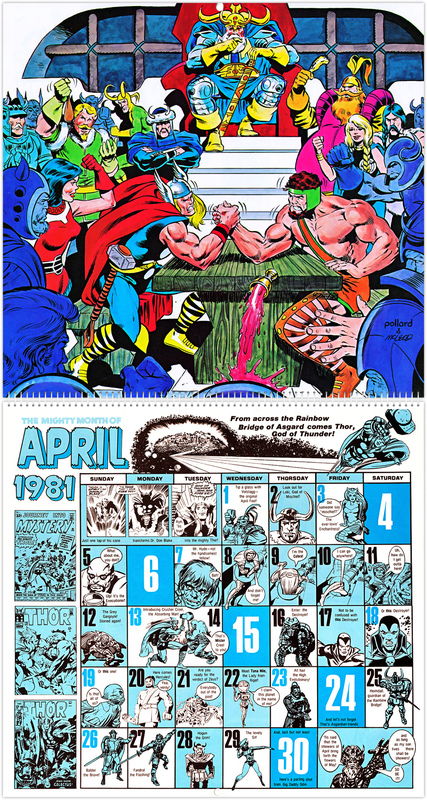 Each month featured reprinted artwork, humorous captions highlighting notable events in that particular character or team’s history, as well as some memorable covers. There’s some great artwork here. 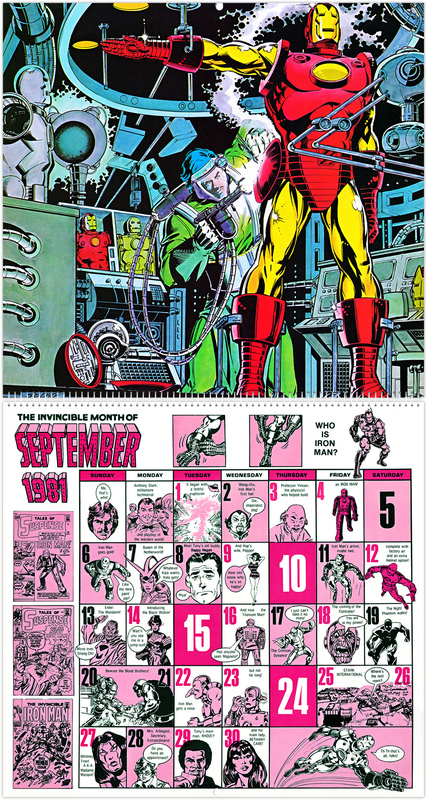 John Byrne and Terry Austin’s Uncanny X-Men (May) is terrific, as is Boy Layton’s Iron Man (September). 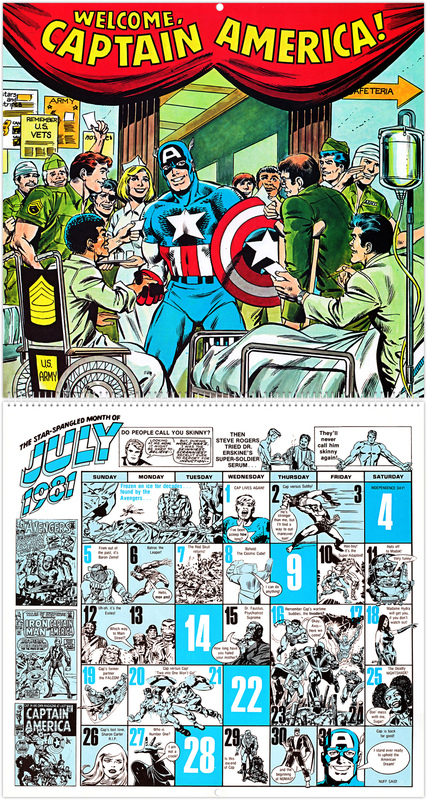 Captain America (July, unsurprisingly) is typically patriotic while George Perez turned in one of his custom crowd scenes for The Avengers (August). 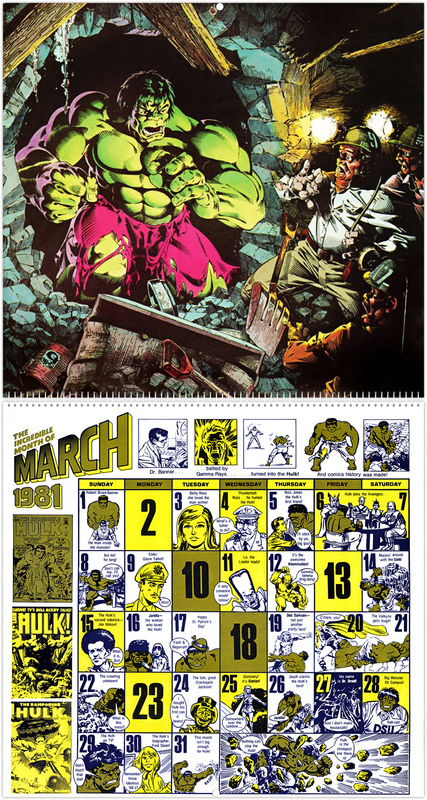 My favourite though has to be The Hulk from March. Michael Golden’s interpretation of the green behemoth has just the right mix of impact and menace. 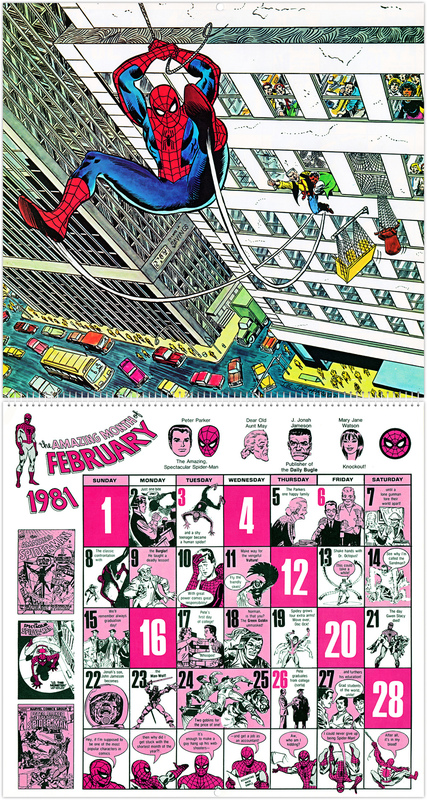 As for the date gags, you either love ’em or hate ’em. At the time I found them quite funny (in a cheesy kind of way) – but then again I was 11. 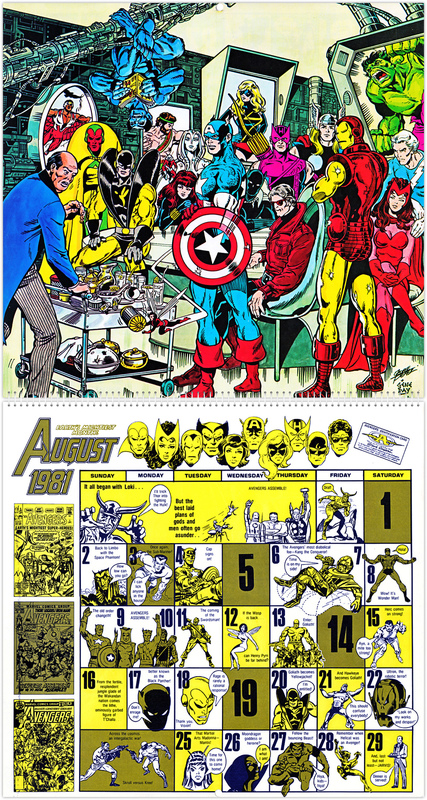 Whatever your opinion, they definitely added to the calendar’s charm. By lucky chance the dates in this calendar tally up perfectly with the dates for 2015. 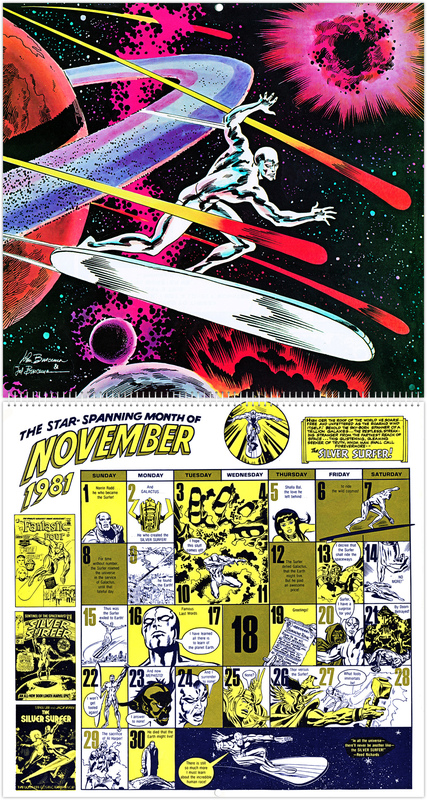 Unfortunately I’ve only just realised this otherwise I’d have posted the calendar sooner. 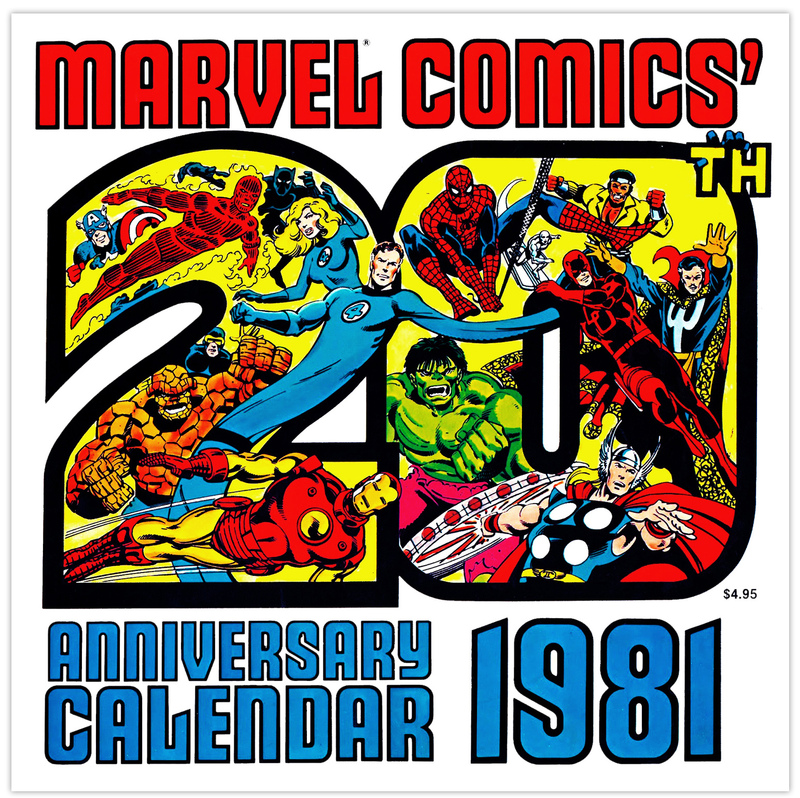 The next time you’ll be able to use the Marvel Comics 20th Anniversary Calendar 1981 will be in 2026… not too long then! 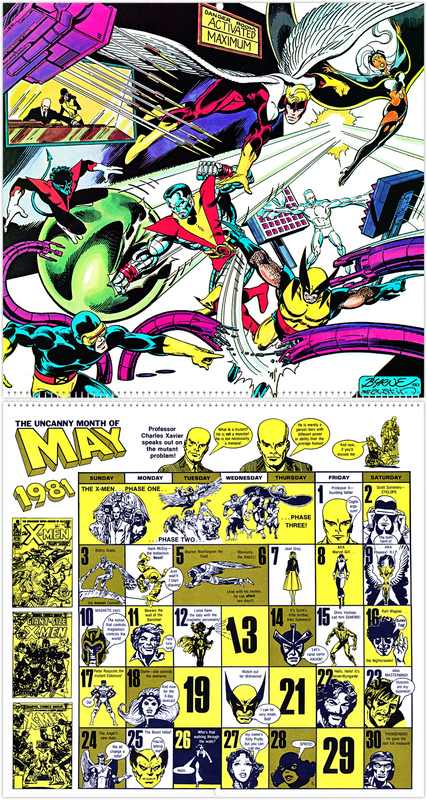 Here are all twelve months, click for larger images.